Did your baby photos get destroyed in (a) natural disaster (b) alien invasion (c) Act of god? (d) all of the above? Well fret no more, Evian the fancy French water people have an app for that. 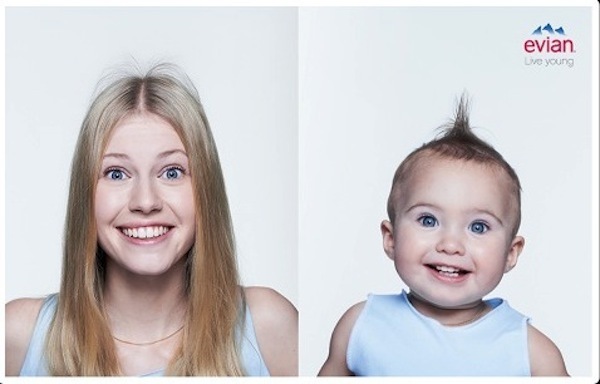 Created by BETC Digital and B-Reel, the app was created to complement Evian's recent, 'Baby and Me' advertisement. To participate users just upload their photos, allowing the app to use them to create a portrait of a person's inner baby.